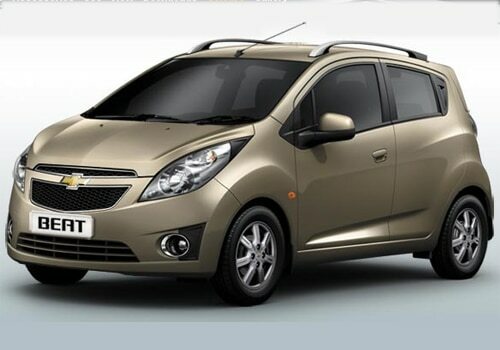 The production model of Chevrolet beat car carries the spirit of the expressive Beatconcept, offering compact as well as city friendly dimensions. The small displacement engine helps in delivering excellent fuel-economy. 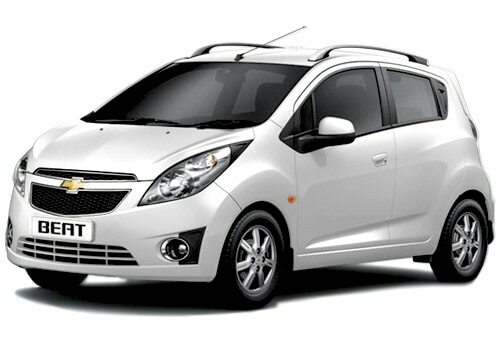 The Chevrolet Beat price range is Rs 3.92 lakh to 5.99 lakh(Ex-showroom Delhi) Chevrolet Beat features include dramatically sized headlamps which literally stretch from front fascia to back of hood, with clear polycarbonate lenses and chrome coated bezels, which resembles diamonds adding an upscale appearance and glamour. A window line which are slanted dynamically upward, an arching roof line and sharp sidelines brings sporty yet edgy look, a rarity in segment. Secret vertical rear door does handles which are located in C Pillar are unusual feature. They provide Beat a unique sporty three door coupe appearance without sacrificing five door utility. The interior of the variant is dedicated and it consist most striking design element which are motorcycle inspired dynamic meter cluster. The refined interiors provide also upgraded functionality with varied features such as headrests that can be vertically adjusted upto 65 mm with carbon film heated seats and numerous storage places. With high quality materials and exceptional craftsmanship, they help to enhance the luxurious interior atmosphere. The exterior colour matched instrument panel as well as door trim are offered in red, blue or silver which will enhance the unified design of the interior and exterior. The vehicle is powered by 1.2 litre 4 cylinder engine which will help in generating 79.4 Bhp of maximum power at 6200 rpm with 108 Nm of maximum torque at 4400 rpm. The S TEC II engine does employ PDA system which will ensure high exhaust gas recirculation which results in combustion stability at a lower speed and optional performance at higher speed together with improved fuel efficiency. The PDA System also helps in reducing the emissions. The automatic temperature controller inside the engine is unique feature which helps dome type long skirt cylinder block narrowing the space between intake valves while application of four resonators which reduces the engine noise. It is mated with an efficient S-TEC II engine which consists of a 5 speed manual transmission. First in segment, offers integrated rear spoiler in the variant and it comes as the standard equipment which essentially extends the rear roof-line, which help in enhancing the aerodynamic performance and provides stable stance in high speed driving as well as increased fuel efficiency. The round tail-lamps of the vehicle with clear polycarbonate lenses do add to the vehicle strong rear impression. A chrome coated radiator grille as well as fog lamps, two tone colours with outside mirrors, provide refined looking roof rack and other design cues which transport the beat Styling beyond that of mini car. The customers who like to view the Chevrolet Beat pictures, can visit the photo gallery of Chevrolet cars and GM India soon launching the chevrolet captiva facelift in India.